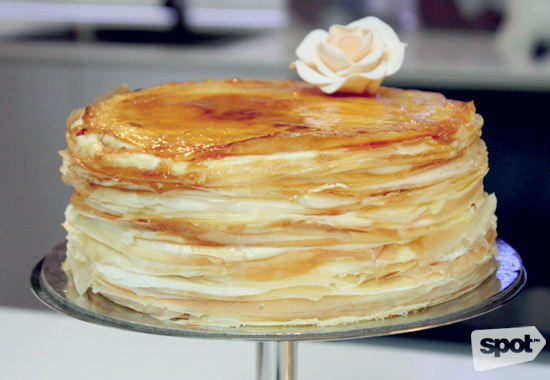 Meet RACKS' hipper and younger sibling. (SPOT.ph) As the oft-quoted saying goes, the only constant thing in the world is change. 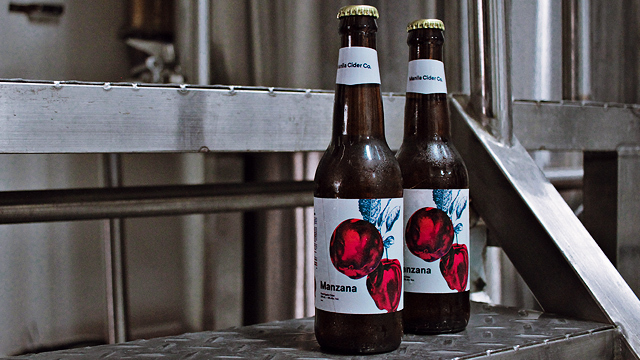 But not all change is something to be wary of; in fact, lots of delicious things come from well-known and well-loved brands that aren’t afraid to shake things up. Hence Rackshack, the hipper, younger brother of RACKS was born. 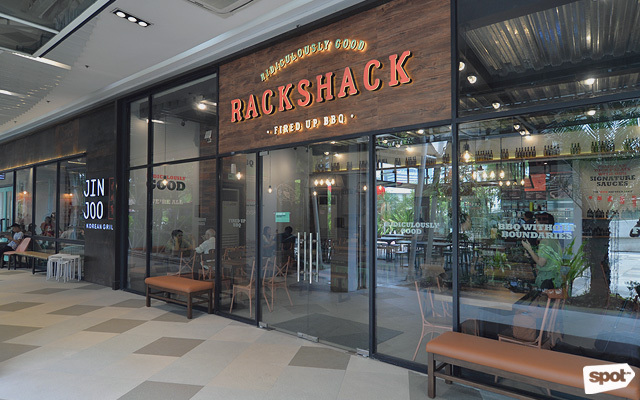 While RACKS wasn’t exactly stuffy, the new concept, designed by their in-house design team together with Studio O, is more vibrant, with a teal-and-rose color scheme and quotes about barbecue painted on the walls in fun lettering. There’s also a mini foosball table and card games like "Cards Against Humanity" and "What Do You Meme" that you could borrow to make your night out with friends even livelier. 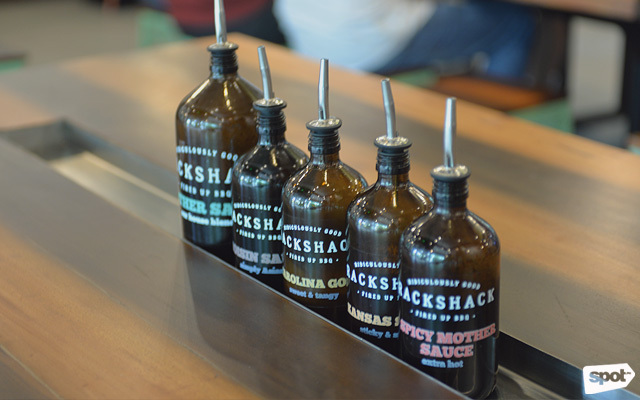 Aside from the chill vibe, Rackshack sets itself apart from RACKS with their selection of five different barbecue sauces. The original Mother sauce is here, but so is a hotter Spicy Mother, with heat that kicks in towards the end, to give your palate a much-needed jolt in the middle of a barbecue feast. 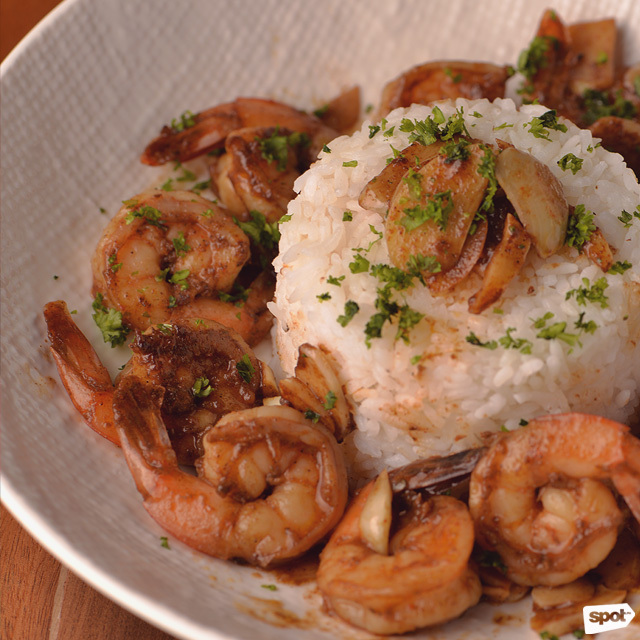 There's also an Asian-inspired Hoisin sauce. As a hand-lettered quote on the wall declares, it’s barbecue without boundaries. “We want to change people’s perception of barbecue,” says Chukri. 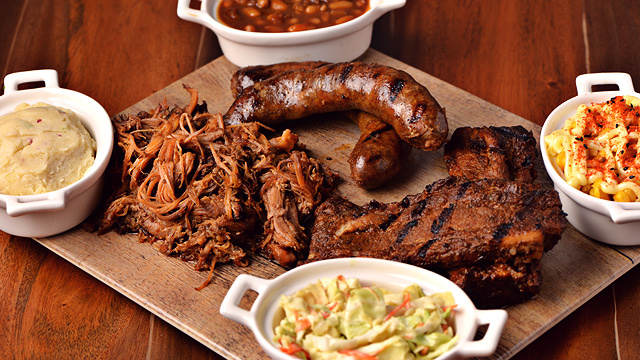 “Barbecue is a global thing now. 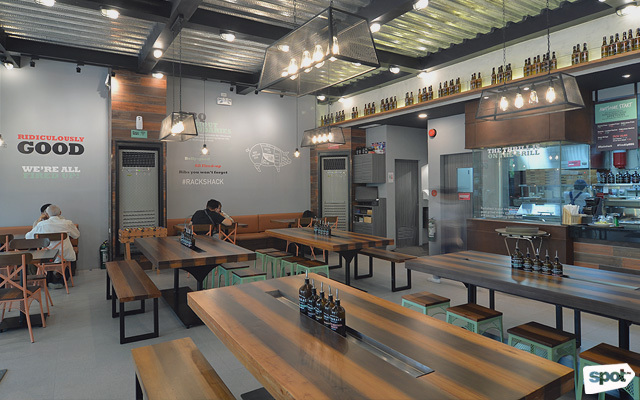 It isn’t just from Kansas or South Carolina or anywhere else in the U.S. There’s Filipino barbecue, there’s Asian barbecue, there’s even European barbecue. And as we go along through the years, we plan to expand our sauces. 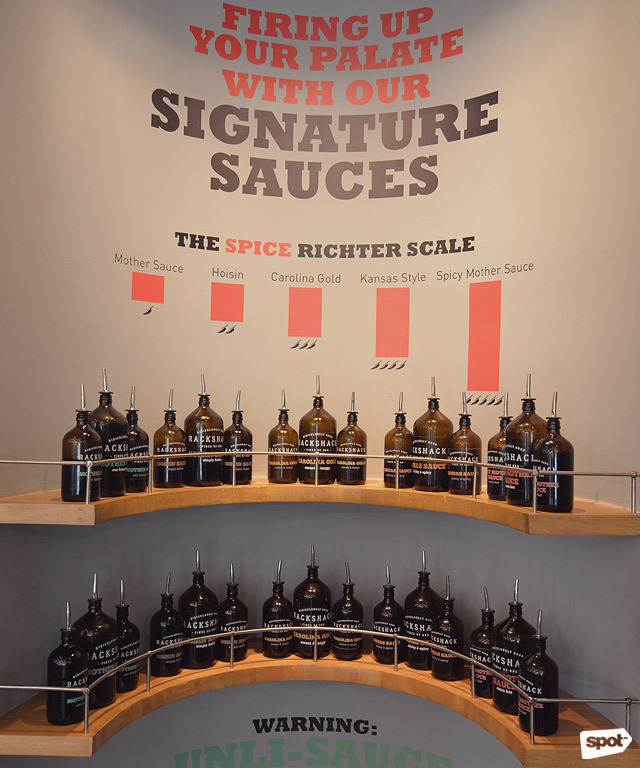 I can definitely see our sauce wall having eight to 10 sauces." But of course, the sauces are only supporting players here; the real stars are the smoked meat, and they sure have met the standards RACKS has set. 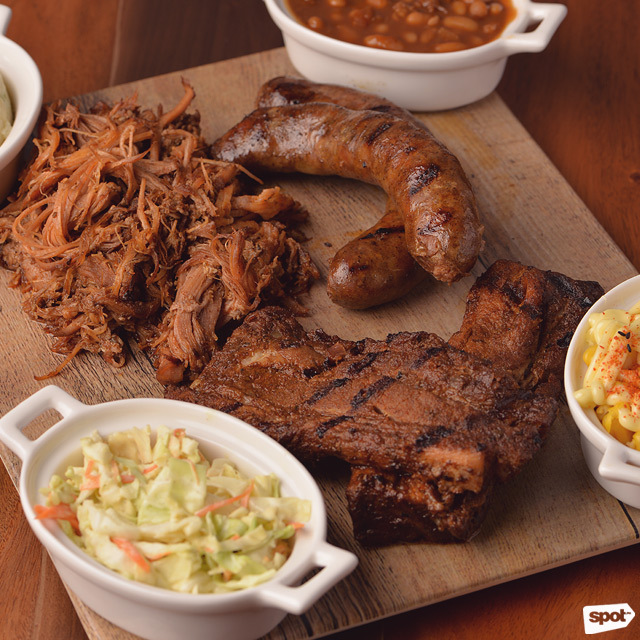 Bring your friends along and get the best of what Rackshack has to offer with the Groupie Platter (P955), which will get you peppery hot links (or American-style sausages), pulled pork made even more succulent by toasted fat bits, and the fork-tender pork ribs. Don’t make the mistake of thinking the sauces are just for the smoked meat, however. Be as generous as you want when dousing the towering Ridiculous Nachos (P365) with the sweet and tangy Carolina Gold sauce, which goes well with the melted cheese and sour cream. With nachos, onion rings, pulled pork, olives, and jalapeño peppers, this platter has something for everyone. 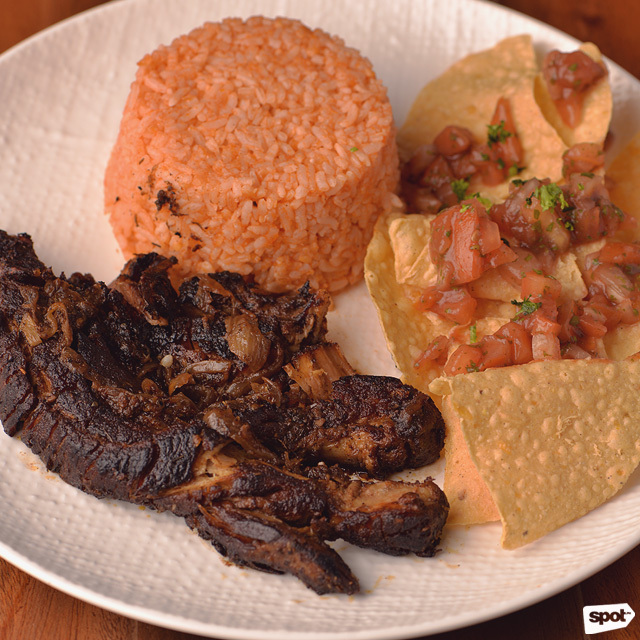 While Rackshack is primarily a ribs place, you shouldn’t overlook the Crack Fried Chicken (P195/two pieces with rice, P345/half, P615/whole). "It's RACKS' famous fried chicken," shares Chukri, "but we added our own Rackshack twist." The mouthwatering smell is enough to tell you that you’re about to get fried chicken that’s been seasoned to perfection. 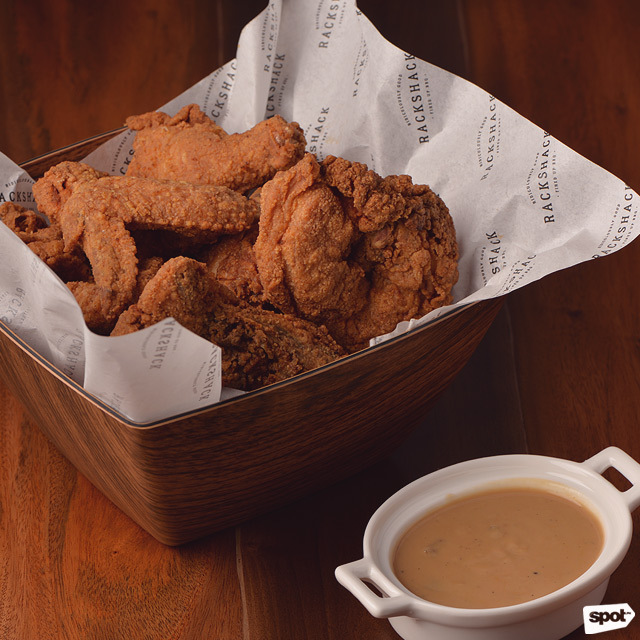 And your first bite won’t disappoint, especially with the resounding crunch of the crispy-fried chicken skin. A group can easily inhale a bucket of these in mere minutes. Even this early in the game, it looks like Rackshack's got the formula for a fun night out down pat: Good food and drinks, fun games, and a relaxed atmosphere. They may carry RACKS' name, but it looks like they're well on their way to making their own mark in the barbecue ribs game.